Vancouver law firm practicing exclusively family law. Widespread experience in separation & divorce, spousal support, child support and parenting issues. Resolve conflicts and begin your new life. Our family lawyers represent clients throughout the Vancouver region and the lower mainland, including North Vancouver. We have decades of experience assisting clients with all types of family matters, both in court and in private mediations, arbitrations, and negotiations. As Western Canada's leading family law firm, with offices in both Calgary and Vancouver, we have experience dealing with interprovincial and international family law disputes. We also help protect families and avoid conflicts through expertly drafted prenuptial, cohabitation and postnuptial agreements. These agreements clarify what will happen if the relationship ends, and thereby avoid conflict. You can take steps to protect your business and assets, and the cost of doing so in advance can be far less than divorce litigation. 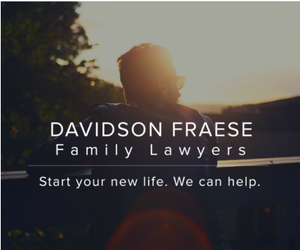 Call us today for a free 15 minute phone consultation with an experienced Vancouver family lawyer. Learn how we can help you protect your family, resolve conflicts, and start your new life.